"I will always love you Honey. The Light of my Life." Gardner W. Farwell, 74, of Cheyenne, Wyoming, passed away at his home on Friday, August 3, 2018, with his loving wife by his side. Gardner was born May 31, 1944 in Mitchell Field, New York, son of the late Hermon W. and Martha (Matthews) Farwell. Gardner enlisted in the United States Air Force and was sworn in by his father, serving honorably during the Vietnam War. He ran a machine shop in Boulder, Colorado, and then moved to San Diego, California, where he ran a plastics manufacturing company. The calling of the Lord led him to work for the San Diego Rescue Mission where he taught the homeless math, English and the Word of God. He then moved to Washington State and worked for Monroe Ladies Mission, and then to Wyoming to retire with his wife. He was an active member of Iron Mountain County Church and also led Bible lessons in his home. Gardner is survived by his loving wife, Lucinda K. (Jorgenson) Farwell; five sons, James (Laurie) Farwell, Kevin Farwell, Patrick Farwell, Slater (Michelle) Jipp, and Seth Jipp; six grandchildren; and one nephew, Brian Hammer. He is preceded in death by his parents and a sister, Linda Hammer. Prior to services, a potluck luncheon will be served in the fellowship hall at Iron Mountain Country Church Sunday at 11:30 a.m. All are welcome. A memory service will follow at 12:30 p.m. at the church with an interment service at Iron Mountain Cemetery. 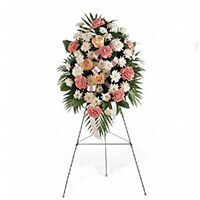 To send flowers to the family of Gardner W. Farwell, please visit our Heartfelt Sympathies Store. We encourage you to share any memorable photos or stories about Gardner. All tributes placed on and purchased through this memorial website will remain on in perpetuity for future generations. I will always love you Honey. The Light of my Life.